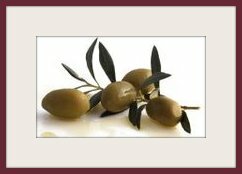 Olive Oil for cough - Try the natural olive oil remedy before thinking about taking any medication. Cough probably one of the most common symptoms of cold or allergies. That nagging cough can occur anytime during the day or night. If you'd like to cure a cough using natural remedy there's no need to go any further than your kitchen cabinet. Just try taking one tablespoon of extra-virgin olive oil as needed. It should help lubricate those nagging tickles in your throat. It's a wonderful home remedy. Not only do you reap from all the health benefits by drinking olive oil this way but you may find that it also tastes better than those over-the-counter cough medications. Did you apply any olive oil remedy to treat your symptom? Did it work for you? Share your story with our visitors! Please include as much information as possible -- be specific. If we like your story and feel it'll help our future visitors from your experience with the remedy we'll publish your story on our website. So look for it here!